Stephanie Latimer, a nature enthusiast was kayaking at the Big Bend National Park in Texas when she spotted two bears climbing a steep rock wall. A mama bear and its cub were scaling a portion of the Santa Elena Canyon wall. The two are Mexican Black Bears. These are considered as endangered species. The mama bear climbed the wall with ease. However, the cub found some difficulty in scaling it although at the end it was able to climb over and join its mother. 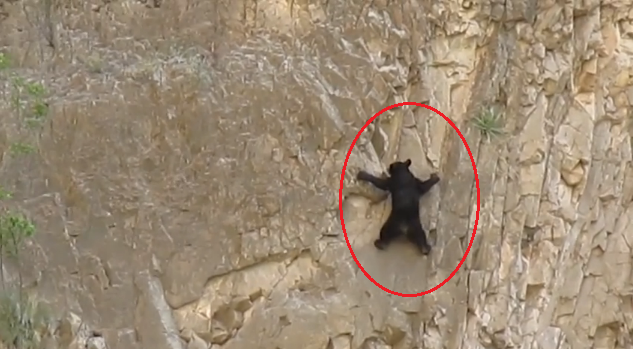 It's an impressive feat and its something that we don't get to see often.What's even more impressive is that these bears, unlike human rock climbers, aren't using ropes and any other gear. There are however human rock climbers who prefer climbing without ropes and gear. And among the most well-known of them is the fearless Alex Honnold.